Is this the new Alexa? 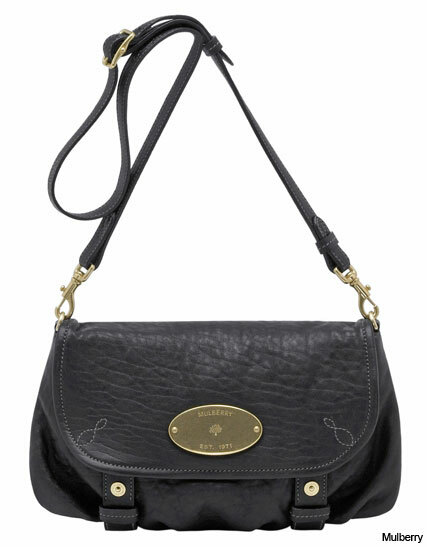 Move over Alexa, Mulberry‘s new Hayden looks set to be the bag of the coming season. There might still be waiting lists for Mulberry’s Alexa bag – named after Ms Chung – but with the brand new autumn/winter collection of Haydens now in store (what do you mean it isn’t autumn yet, do keep up) there’s a hot new shape for us all to lust after. Already spotted on the effortlessly cool shoulder of Scarlett Johnasson, the Hayden comes in three sizes – small shoulder, regular shoulder and tote – and a myriad of colours, including the brand new ‘shiny leopard‘, ‘lemon lime‘ and ‘drizzle‘, the names of which, quite frankly, are reason enough to splash out.